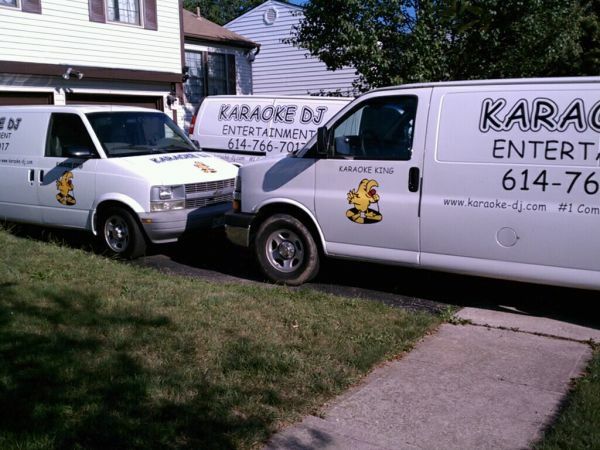 Karaoke DJ Entertainment - Columbus Ohio | Book Us Today! Karaoke DJ Entertainment has been delightfully bringing life to your life's events by providing high-quality professional music and entertainment services. T​hose precious moments even more memorable. In a span of 25 years, we are happy to have shared countless celebrations and meaningful happenings with you. We love bringing you good music and we intend to keep getting better. We are proud to be one of the finest 5-star Karaoke companies in Columbus, Ohio that offers a complete music service. Our wide collection of Karaoke and DJ music will surely get you in the mood. Our professional mobile disc jockeys can customize both the genre and music playlist that suit your taste and those of the important people, whom you share your life's precious moments with. We don't just play the kind of music that we like, but we play the kind that you want to hear, the kind that appeals to your listening pleasure. In every event we manage, we always make it a point to get a good grasp of the details as early as the planning stage. We are glad to take part in ensuring its success because it's our fulfillment to keep you satisfied. We take every detail into account and ensure a smooth flow of music and entertainment so you forget about worrying and just focus on the precious milestone you are celebrating. Karaoke DJ Entertainment takes pride in using only top of the line studio equipment. With our new Bose sound system, you are sure to get more than just a great listening experience. Rest assured you get a pleasurable and meaningful event.